In the six months since the Boston Marathon bombing, the FBI has by all appearances been relentlessly intimidating, punishing, deporting and, in one case, shooting to death, persons connected, sometimes only tangentially, with the alleged bombers. All of these individuals have something in common: If afforded constitutional protections and treated as witnesses instead of perpetrators, they could potentially help clear up questions about the violence of April 15. And they might also be able to help clarify the methods and extent of the FBI’s recruitment of immigrants and others for undercover work, and how that could relate to the Bureau’s prior relationship with the bombing suspects—a relationship the Bureau has variously hidden or downplayed. The Boston tragedy may seem like a remote, distant memory, yet the bombing warrants continued scrutiny as a seminal event of our times. It was, after all, the only major terror attack in the United States since 9/11. With its grisly scenes of severed limbs and dead bodies, including that of a child, it shook Americans profoundly. As importantly, in its aftermath we’ve seen public acquiescence in an ongoing erosion of civil liberties and privacy rights that began with 9/11—and to an unprecedented expansion of federal authority in the form of a unique military/law enforcement “lockdown” of a major metropolitan area. Nonetheless, at the time, most news organizations simply accepted at face value the shifting and thin official accounts of the strange events. Today few give the still-unfolding saga even the most minimal attention. And it is most certainly still unfolding, as we shall see. 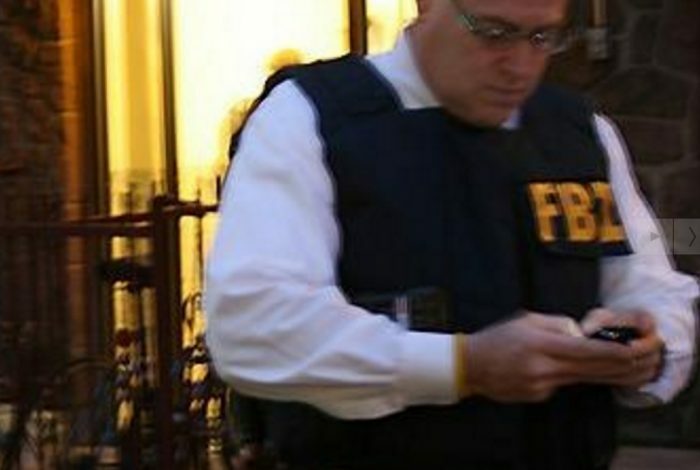 The FBI’s strange obsession with marginal figures loosely connected to the bombing story began last May, with the daily questioning of a Chechen immigrant, Ibragim Todashev, and of his girlfriend and fellow immigrant, Tatiana Gruzdeva. Todashev had been a friend of the alleged lead Boston Marathon bomber, Tamerlan Tsarnaev, who died in a hail of police gunfire four days after the bombing. Tsarnaev’s younger brother Dzhokhar barely survived a massive police strafing of a trailered boat in which he was hiding, trapped and unarmed. During one interrogation in Orlando, Florida, where Todashev was living, something went awry and he ended up dead from gunshots. Although to date the FBI has provided only hazy and inconsistent accounts of that incident, the killing of a suspect and potential witness in custody was clearly a highly irregular and problematical occurrence, replete with apparent violations of Bureau and standard law-enforcement procedure. On the heels of those two deaths and the one near-death has followed what appears to be a concerted effort directed against a larger circle of people connected, if not to the Tsarnaevs, then to Todashev. The purpose of this campaign is not clear, but it has raised some eyebrows. 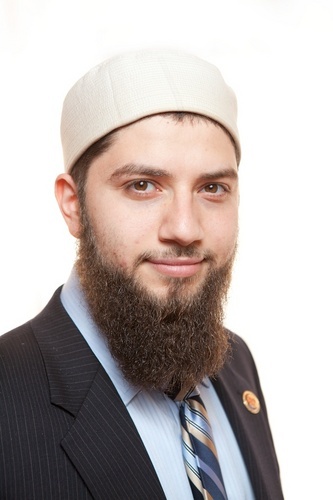 In an interview with WhoWhatWhy, Hassan Shibly, executive director of the Florida chapter of the Center for American Islamic Relations (CAIR), described aggressive behavior directed by FBI agents at vocal friends of the dead Todashev: using suspected informants to monitor their press conferences, following targeted individuals around, interrogating them for hours—often without an attorney, and jailing them on what he says are trumped-up charges. Shibly further claims that government agents are threatening these immigrants with deportation unless they agree to “cooperate”—a tactic which he portrays as seeking to enroll these people as de facto spies for the federal government. Two people have left the country to escape further harassment. Another has been deported, while a fourth is currently facing deportation; none of them has a criminal record. The bulk of this group were at most friends of a friend of Tamerlan Tsarnaev—and apparently didn’t personally know either of the Tsarnaevs. One of these targets was Tatiana Gruzdeva, Todashev’s 20-year-old girlfriend. She was deported to Russia on October 11. Gruzdeva had been in the US on a student visa. According to Immigration and Customs Enforcement (ICE) public affairs officer Carissa Cutrell, Gruzdeva had overstayed that visa—a common situation for foreign students studying in the US—but on August 9 she had been granted a “deferred action” status valid for one year, and therefore was for that period in the country legally. Actually, she had done more than that. She had described for the magazine in vivid detail what happened when several FBI agents back in May had showed up at the Orlando apartment she and Todashev shared and accused him of involvement in the Boston bombing. Days of harassment and interrogation followed, she said, as the FBI tried to get Todashev to confess to involvement in the Boston bombing, and to get her to make statements implicating her boyfriend, but she continued to insist Todashev had been in Orlando with her when the bombing occurred. Then, she said, the government agents surprised her with a new accusation: Todashev, they alleged, had been involved in a gruesome, drug-related, 2011 triple murder in Waltham, Massachusetts. The agents tried, without success, to force her to implicate Todashev in that crime. Then, while she was still in shock from that latest assertion, they demanded she tell them what further criminal activities he had in store. When she did not tell them what they apparently wanted to hear, she says, they had her arrested on immigration violation charges. Soon after, she was thrown into solitary confinement—treatment normally used only to protect inmates from other inmates, or to punish them for bad behavior. She was not released until August 8. It was while she was held in solitary confinement that she learned of Todashev’s shooting death at the hands of an FBI agent. Todashev and Gruzdeva during happier times. Gruzdeva also told Boston Magazine about the FBI’s treatment of Ashurmamad Miraliev, a 20-year-old friend of Todashev’s also living in Florida. Just days before the magazine interview, agents had grabbed Miraliev, she said, denied his request for an attorney, and then interrogated him for over six hours before dumping him in the Orange County Correctional Facility, a local jail. Miraliev remained locked up for over three weeks on $50,000 bail on what CAIR’s Shibly contends were trumped-up charges of brawling outside a bar and “intimidating a witness.” According to Shibly, an attorney who is representing Miraliev, the charges were subsequently tossed out as baseless. In Miraliev’s case, the FBI never even claimed that he posed an imminent threat. Initially, they told him they wanted to question him about the alleged bar fight and the allegation that he had “intimidated a witness.” But these are local, not federal matters; clearly trivial; and not even the FBI’s responsibility. After that ordeal, Miraliev told CAIR the FBI had never even asked about those local matters. Instead, he said, they focused only on Todashev and his presumed relationship to Tsarnaev. Courts have held that authorities need not necessarily read a detainee Miranda rights—but they must desist as soon as a demand for an attorney has been made. The FBI has shut down any attempts at unraveling the ongoing mystery. It demanded that Todashev’s autopsy’s report be sealed, and not released even to family members. Such holds on coroner’s reports, especially such lengthy holds, even in cases of police shootings, are unusual, to say the least. And that hold is certain to interfere with the Florida state’s attorney in Orlando, Jeff Ashton, who is also actively investigating the FBI shooting of Todashev. Shibly believes, based on its overall behavior, that the FBI’s sealing of the Todashev autopsy report has nothing to do with its stated reason of enabling an ongoing investigation into the shooting. “It’s very possible that the FBI is just delaying the release of the coroner’s report because they know it will be embarrassing,” he says. Khusn Taramiv, a friend of Todashev’s, said the FBI had begun questioning both young men shortly after the April 15 Boston Marathon bomb attack. But by May 22, the day Todashev died, according to Taramiv, his friend believed something bad was about to happen to him. “He felt inside [that] he was going to get shot,” Taramiv told WESH-TV in Orlando. They were talking to us, both of us, right? And they said they need him for a little more, for a couple more hours, and I left, and they told me they’re going to bring him back. They never brought him back. The FBI asserts that Todashev had implicated Tamerlan Tsarnaev in the Waltham drug dealer murders, and was about to sign a confession to his own involvement in the crime just before he was shot. The Waltham matter, a two-year-old, extravagantly staged, ritualistic drug homicide, was apparently a cold case when, after the Marathon bombing, local authorities began focusing on Tamerlan Tsarnaev as the possible killer—and then on Todashev as a possible accomplice—an allegation Todashev’s friends have challenged as baseless. While some of this circle of friends in Florida, like Todashev, faced pressure to confess to participating in or having knowledge of the Waltham crime, others, according to CAIR’s Shibly, have been told that if they want to be left alone and not deported, they need to become informants. He says several of those harassed have opted to return to Russia rather than become spies for the FBI in Florida’s Muslim community. “I know of a half dozen who’ve been contacted,” says Shibly. “They’ve been told to cooperate and to spy for the FBI on mosques and local restaurants–or the government will go after their legal status.” He says the FBI’s harassment campaign is continuing and is spreading to more people in the Florida area who knew the slain Todashev. 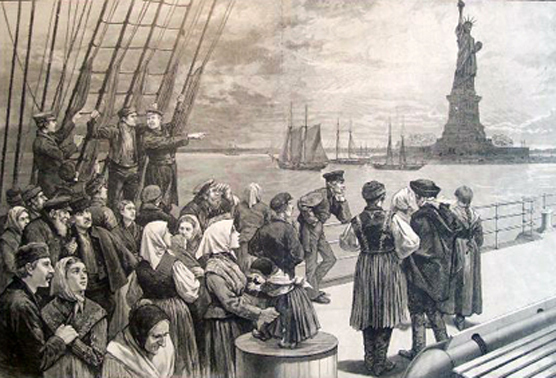 Gruzdeva’s deportation shows that the agency’s deportation threats were no bluff. As mentioned above, on October 11 Gruzdeva, despite her clean record and her “deferred action” legal status, was whisked to the airport for a flight to Russia by ICE agents so fast she was not even able to fetch her winter coat from her apartment. She has reportedly gone to her native Moldova, a country neighboring Romania that was formerly a part of the old Soviet Union. Miraliev, who had been granted asylum by the US and saw it as a safe haven, is awaiting what may be a similar fate. Shibly says several other family members and friends of Todashev’s have also been harassed by the FBI since his slaying. One is the mother of Todashev’s former wife. The mother, who works for the federal government, was interrogated by the FBI “right after attending a press conference about his killing,” Shibly says, adding that a suspected FBI informant had, unannounced, also attended that press event, apparently monitoring who participated. He says the person was identified by CAIR lawyers investigating the FBI’s harassment campaign. By shooting Todashev, then claiming he was about to confess to a crime, then hounding Todashev’s friends and family, and sending or driving them out of the country to Russia or other regions of the former Soviet Union, says Shibly, the FBI gives the impression it is urgently trying to hide something. What really happened? Pick a story. Late in the day on May 22, FBI agents went to Todashev’s house and interrogated him—without an attorney present—according to some accounts, for eight hours. The agents were accompanied by officers from the Massachusetts State Police, who were investigating the 2011 Waltham murders. According to the Washington Post, at some point after midnight, the state cops—and, allegedly, all but one member of the FBI contingent—left the room, leaving Todashev, unrestrained, alone with one agent. If that’s correct, then the FBI violated one of its rules: a suspect should always be in the company of more than one agent. Perhaps even more striking is that they purportedly left that one agent alone with an unrestrained man known by the FBI to have had martial arts training—and, moreover, a man very publicly being investigated for possible participation in a multiple murder case. You couldn’t have created a more perfect scenario for a no-questions-asked, quick disposition of a problematical person. First, they claimed thatTodashev—who had just undergone knee surgery— had nonetheless lunged at the lone officer with a knife. No mention of how Todashev would have produced a knife since they would presumably have routinely frisked a potentially dangerous suspect. Next, they said he had upended a table, possibly injuring the agent. Then, they said he had attempted to grab a sword. The notion that this possible terrorist, triple homicide suspect would be left alone with a single officer, with a knife and/or even more stunningly a sword ought to raise serious questions about whom we can trust to tell us the truth. And if that weren’t enough, the weapon of choice later morphed in some reports into a metal pole, and then into a broom handle. As noted earlier, only one agent was left in the room alone with Todashev, according to the Washington Post. That scenario seems supported by the fact that all shots fired came from one agent’s gun. Shibly notes that, by training and protocol, if Todashev had constituted an imminent threat, and more officers were present in the room, all would have fired at him. Either the FBI violated its own protocol by having one agent left alone in the room or there were actually two or more agents in the room and only one fired. After Todashev’s slaying, the FBI claimed—though it produced no evidence—that he had been “about to” sign a confession to the triple murder in Waltham, Massachusetts. Incredibly, no one had taped the interrogation—or, if anyone did, the Bureau is neither admitting it nor offering it as evidence to back up its assertions. When Christina Sterling, the US prosecutor in the Dzhokhar Tsarnaev terrorism case in Boston, cited Todashev’s alleged confession during interrogation by FBI agents, she did not say she had a tape to back up the FBI’s claim. In a court filing asking the judge in that case to deny Tsarnaev’s defense team access to investigative files from the Waltham case, the only evidence she referenced was the reported hearsay from the agents who were in the room with Todashev. No high officials in the Bureau or the Justice Department have publicly expressed concern about this shooting of an unarmed man in custody. The FBI says only that it is “investigating” the incident. And if past experience is any indication, the Bureau is unlikely to find itself or its agents at fault. The New York Times reports that though FBI agents have killed 70 “subjects” and injured another 80 in the last two decades, the Bureau’s self-investigations have never once found that an agent’s shooting of a suspect was unjustified. This tragicomedy of “errors” must generate some head-shaking in a community made up of immigrants from the old Soviet Union, where people being interrogated routinely happened to fall down stairs or jump out of high windows. At minimum, given the appearance of a cover-up, one must wonder why the FBI would kill a key associate of Tamerlan and Dzhokhar Tsarnaev, especially when the latter is currently facing murder and terrorism charges in federal court in Boston for the Boston Marathon bombing. Todashev could have been an important defense witness. Could he also have had damaging information about links between Tamerlan Tsarnaev and the FBI that predated the interest of the Russian authorities in him? The American people have to this moment not been leveled with by their government—and are only being provided with hints by the establishment media that anything is seriously amiss. Indeed, few are aware of the larger pattern, and understandably give the FBI the benefit of the doubt in light of the fear following the bloodshed of April 15. A few elected representatives have expressed concerns (see this and this) but these have been isolated and not followed by concrete action. Moreover, no one has taken the politically explosive step of asking whether, like the friends of Todashev, Tamerlan Tsarnaev himself could have been pressured—successfully— to become an FBI undercover informant/provocateur. Such inquiries lead to places that make Americans deeply uncomfortable. But certain indisputable facts do suggest a basis for pursuing these questions. For one thing, there’s the FBI’s effort to hide its prior relationship with the Tsarnaevs. After claiming it didn’t know who the Tsarnaev brothers were when they were first identified as suspects on the basis of spectators’ photos of the bombing scene, the FBI was essentially forced—by the Russian government, no less—to admit that it had been monitoring and interacting with the Tsarnaev family two years before the Boston bombing. This must be coupled with Tamerlan’s striking transition in the last few years. A seemingly happy and comparatively “normal” young man eager to become an American citizen and live the American dream morphed into a conspicuous radical, loudly acting out in a mosque and traveling to his home in Dagestan, where he aroused suspicion of being a provocateur, openly trying to convince others to take up arms. He could have been an authentic convert, or he could have been something else. As is well established and well documented, the FBI has a long history of recruiting vulnerable individuals to infiltrate organizations and networks, gain their trust, and in some cases to encourage violent acts. Just one of many examples is the 1993 bombing of the World Trade Center (the “first” attack on the WTC), with an FBI undercover informant at the core of the plot—which resulted in a bomb attack that killed six people and did considerable structural damage to one of the buildings’ basement pilings. There are 153 comments Our Comment Policy: Keep it civilized, keep it relevant, keep it clear, keep it short. Please do not post links or promotional material. We reserve the right to edit and to delete comments where necessary.